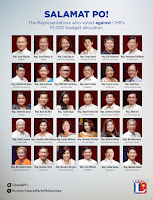 House of Representatives cuts down budget on CHR, ERC and NCIP to ₱1000 - Balita Boss! The House of Representatives in their plenary debates approved to cut down the 2018 budget of Commission on Human Rights (CHR), National Commission on Indigenous Peoples (NCIP) and Energy Regulatory Commission (ERC) on Tuesday night, September 12 to a measly ₱1000. 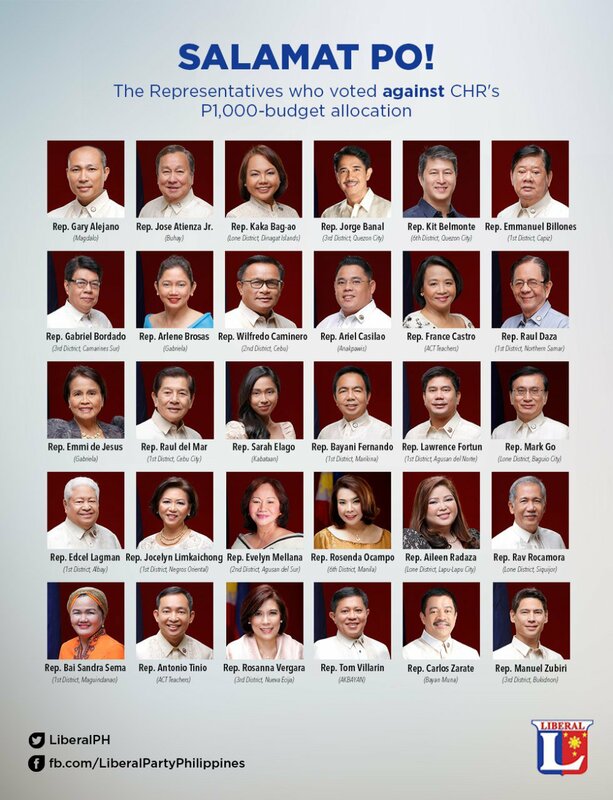 With a majority of 119 House votes favouring the CHR budget cut down from its proposed ₱623.38 million, the motion by SAGIP Representative Rodante Marcoleta was also voted against by 32 legislators, a mix of majority, minority, and opposition members. Meanwhile the National Commission on Indigenous Peoples (NCIP) with the motion of Bayan Muna Rep. Carlos Isagani Zarate due to the agency’s failure to defend the rights of national minority was also reduced to ₱1000 from its original budget of ₱1.132 billion. The failure was highlighted by the September 2015 killings of Emerito Samarca, head teacher of an award-winning school for Lumad youth in Lianga, Surigao del Sur, and Lumad leaders Dionel Campos and Juvello Sinzo allegedly by paramilitary forces, yet, clarified the budget cut does not mean of any plans of abolishment of the agency. Lastly, with the movement of Zamboanga City Rep. Celso Lobregat, the Energy Regulatory Commission (ERC) from the 2018 proposed budget of ₱365 million was also subjected to the budget cut down due to investigations of the anomaly inside the agency. Senate on the other hand vows to block the approved budget cut down and vows to restore the original budget to the government agencies especially on the Commission on Human Rights as the national budget bill will still go through deliberations in its chambers.